Linear income is when you work for money. This type of income is usually made by working for someone else. This income earning strategy is employed by approximately 96% of our population. This strategy is also known as trading time for money. Typically you get paid once for every hour you work. If you want more money, you need to put in more hours of work. No work = no money. Residual income is when money works for you. This is where you multiply your time through the efforts of others. Think network marketing, song writers, authors. The work is done once but you are paid multiple times every time someone purchases your product. You don’t have to show up to work to collect the money. The money comes to you. Bob Proctor, best-selling author of You Were Born Rich, gives a formula for earning money. Determine how much you want to earn. Write it down on a sheet of paper. Take the total figure and divide it into multiple parts. Each part represents a source of income. Each source of income represents a separate reward that you would receive for a service you would render. Work on one source of income at a time. Think of how you can do whatever you do – more effectively. Think of how you can improve the quality and quantity of service you render. Think of how you can help people in a greater way. Money is a servant; the more you earn, the more you can help others. There is no better time than the present to start earning residual income and living the life that others dream about. Money is no respect of person – education, gender, or politics cannot stop YOU from getting the money that you deserve. 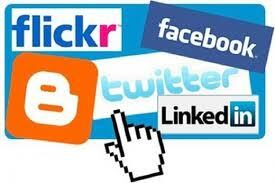 Social media networking is changing the way business owners market and brand their business. 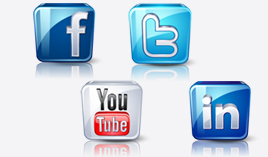 Social media networking is an interactive way to communicate with friends, current clients and potential new clients. You directly connect with your audience on a greater platform and it gives your followers the feeling that they are part of your online community. This is important because people only do business with people they know, like and trust. Grasping social media will not be an overnight process. 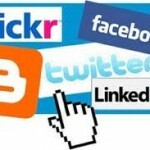 There are several sites to get you started on your journey to social media networking. Listed are a few choices, statistics and a brief overview of each one. Many different types of people use Twitter – speakers, celebrities, corporations, executives, students, radio personalities, realtors and many more. You share what you are doing in 140 characters or less. Here like other social sites you can share motivation, inspiration, information, tricks and tips. LinkedIn is a business oriented social networking site. This is a great place for business professionals and entrepreneurs to connect. LinkedIn is popular with Fortune 5oo executives, CEOs, CFOs and business professionals. There are many more social media sites. This is a great starting point. Set up profiles at all three site. Since each site has its own language and cultural, I suggest you dig into the particulars of each site one by one. Social media networking can be a wonderful addition to the way you market your business. Happy Networking. Are You Wasting Your Time In Your Network Marketing Business? If you answer YES to the following statements, you probably are wasting your time. Is your product one that is in demand? Can you see yourself sharing the benefits of the product? Make sure you believe in the product. Stay passionate and continue to prospect. The money will follow. A realistic plan is to quit your “day job” when your network marketing income matches or doubles your current income. Obviously there are exceptions to this statement such as you have additional income support. They may sign up but most will not work the business. Many will run from you if you have approached them about multiple opportunities. Continue to love your family and friends even if they don’t join. Like minded people are who you want to attract as business partners. Selling the business is not duplicable. Most people are not natural salespeople. People don’t like being sold. Offer a solution to people’s problems and you will gain customers and distributors. I am not guilty of this statement. The NOs I handle well because I knew exactly where that person stands. However I was and occasionally still am emotionally attached to the fence sitters or the people that promise to sign up next payday, after the light bill is paid. You know the stories. Then you never hear back from the people. Spending time feeling down about this is wasted energy and robs you of the potential all around you. Go for Yes or NO. Most prospects are saying NO to the opportunity not YOU. The timing may be bad for your prospect. The NO may turn into a yes in the future. You freeze up when someone asks if this is a PYRAMID. Tell them upfront that it is network marketing or MLM. Ask them if they are looking for a PYRAMID to join. Most people don’t realize that their J.O.B. is one of the greatest PYRAMID structures. There is nothing wrong with a job just most people don’t realize unless they are the CEO they are on the bottom of their job’s structure or PYRAMID Be confident and proud of what you do. Realize that network marketing requires work. Be realistic about the time you have to work your business. Set goals. Be defined by your expectations and no one else’s. Keep forging ahead and remember you have the solution that millions of customers and business builders want and need. The MLM industry, or Multi Level Marketing industry has created multi-millionaires and given some people a lifestyle that most people have never experienced. There are many people who mistakenly believe that this type of business is a pyramid or that you can’t make money. If you attend a J.O.B. every day, you are in one of the greatest pyramid systems in the world unless you are a president. Let’s see how this works to make this crystal clear. YOU never make it to the top. You never can make more money than the boss. Hmm, this seems like a pyramid to me. Let’s be clear there are scams and schemes out there. However, there are also a large number of businesses in which you can make consistent regular income from home using MLM. I have friends who sell everything from pills, candles, greeting cards, juice, gold and silver, video services, legal services, body garments and many more products and services. You name it and there is something out here for anyone who is interested in making additional or replacing income. The key is finding a product that moves you and one that you can easily share with prospective distributors and customers. How does this industry work? You are helping to sell a product or service to individuals who will make purchases on a monthly basis. In doing so, you earn a commission each month from their purchase. A huge plus is that you can earn residual income, month after month, with each sign up you get. Example – Paul joins Pam’s business. Paul signs up under Pam. Paul then begins to sign up new customers. All of those customers he sells to on a monthly basis are commissions for Pam, too. Let’s take a consumer product such as a cell phone. The cell phone company needs to distribute cell phones around the world. They open a store, make commercials, hire employees and those employees sell or in MLM terms distribute the phones to the customers that come into the store and makes a purchase. Therein lies the difference, in the MLM industry there is no brick and mortar building. Your brick and mortar business is home based. There are no employees only distributors. There are no commercials. The MLM distributor is moving the product and service and in essence, is creating interest for the product. The MLM is able to pay distributors handsomely because they have eliminated advertising cost. The majority of the profits go to the cell phone company in a traditional business. If you are in the MLM industry, YOU the distributor would enjoy the commissions based off of your efforts and your team’s efforts. That right there alone, is why you should consider multi level marketing. Think of this industry as a two-fold mission. 1.) You are helping to promote a product or service you believe in 2.) You are able to help others who are looking for an at home business gain financial freedom and time to do the things that they love to do. Remember people only do business with people who they know, like or trust. So although the product might be great, if you don’t do a great job of representing yourself, people will buy from the person that they feel most comfortable with. At the end of the day, it’s how you make people feel. The keys to doing well in this industry are: be coachable, flexible, plug into trainings and conference calls and attend live events. Most important – never give up on your dream of having your own business. If MLM sounds like a good home based business for you, you will be happy to know that virtually all of the tasks can be done at home, often in your PJs. Who has not heard of Napoleon Hill? And indeed, who has not heard of his classic Think and Grow Rich? The book, published in 1937, contains great ideas that have made their impact upon the whole world all through these years and are relevant even today. Masterminding is two or more individuals coming together to accomplish more than either could alone. The thought is working together creates harmony and purposeful relationships. This group helps to bring out your creative genius and expand your ideas into greatness. The secret sauce is that each one knows that the ultimate aim is to reach your destination by brainstorming, supporting ideas that need support but at the same time offering constructive criticism. Each member should remember that it is the group to which the agenda belongs. All members are expected to participate in order to move the group to new heights. A sincere mastermind group offers experience to members. Your ability to grow and become a better individual in your personal and business life is highly likely. This is assuming that like minded people are coming together. The greatest asset that you have is a ready-made support network. Other benefits include: confidence builder, accountability partners, and feedback. Who can create a successful mastermind group? •	interacting with people of similar interests and skills. •	committed to a give and take relationship. •	committed to the cause to help and be helped. Your mastermind group does not have to be formal. Many of you are probably part of a powerful group but have not officially formed or titled your group. Examples: military groups, book clubs, mom or dad groups, other support groups. All of these groups can be formed into more powerful alliances at any given time. Initially, the ideal number of members should not be more than 6. New members can be admitted, provided they meet the quality standards that should be in place. It is recommended that new members have the approval of all the existing members. A membership fee can be imposed. 1. 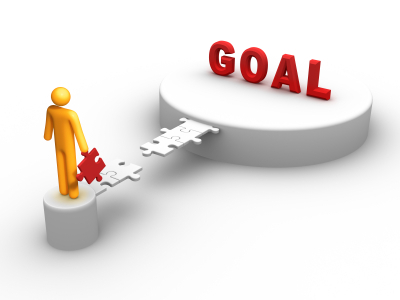 Are you committed to your own goals? 2. Are you willing to commit to helping others reach their goals? 3. 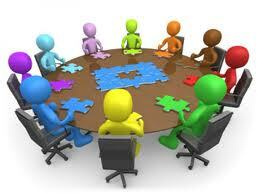 Will you commit to weekly, bi-weekly or monthly meetings? 4. What skills have you developed that will benefit the group? 5. What skills can the group provide to you to assist in your endeavors? Mastermind groups can meet in person, on the telephone, or by tele-conferencing. During the meeting, each member should update the group on what has happened since the last meeting, including new opportunities or obstacles. Have members ask for resources if needed at this time. A 9-5 JOB. What you GIVE is what you GET in Network Marketing. Some people get away without doing any work and still collect a paycheck in their regular 9-5 job. An INVESTMENT PROGRAM! Just because you bought a business opportunity, it will forever be a business ‘opportunity’ and not a business if you sit and do nothing. The money doesn’t grow by you becoming a distributor. The more you invest doesn’t mean you will necessarily earn more. A GET RICH QUICK SCHEME! Those who make it big in MLM within a short time are the EXCEPTION to the NORM. Do you have what they have? (The experience, tenacity, contacts, paid the price) Everyone who has made it had all paid the price. A 100 METER DASH. It is a marathon. Your business is built over a period of time. 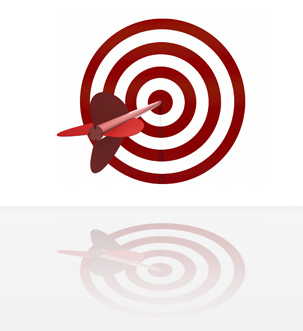 The quality of your downline counts. Many will promise to join your business and never do. Better yet, many will join and never do anything. Timing is everything. JUST FOR SALES PEOPLE. Some are NATURAL salespeople, being good in sales will not necessarily make you succeed in MLM. Selling or bringing someone in the business is the start. Training, tools, 3 way calls are all a part of the process as well. A PYRAMID. It is not about the people on the bottom making all the money for the people on the top. Remember that if the downline works harder, they will eventually earn more than their uplines. W-2 INCOME. This is a business and you must treat it like a business. You and only you alone dictate the size of your income. You are also responsible for all of your taxes. ABOUT DUPLICATING YOUR STYLE. EVERYONE is DIFFERENT. Different people have a different personal touch when it comes to recruiting. Their relationships with their prospects vary from groups to groups. This is not a ONE SIZE FIT ALL style. LIMITED TO ONLY YOUR MLM COMPANY. Please never ever treat your business like it is the ONLY business worth getting into (if you don’t get into MY MLM or if you join others, you are not my friend). Move on if they don’t join you! Please don’t do this. You will lose a lot of true friends. SPAMMING social media sites such as Facebook and Twitter about your business opportunity. People will quickly delete you from their social media accounts. Instead offer how being in business can improve their bottom line or help them to achieve an additional stream of income. ABOUT THE TOOLS/PRODUCTS. Many people in your same business are sharing this same tool/product. People do business with people who they know, like and trust. So be that type of person. Are you in the game or in the bleachers when it comes to being a success in your business? The top business people of the world follow several principals that puts them in the MINORITY, gives them the slight edge and separates them from the MAJORITY. Here are eight tips to make sure you are part of the MINORITY. 1. Define your WHY. Have a why that is unstoppable. A why that makes you cry. A why that WOWS you. 2. Vision Board. Without a vision you will perish. Your dream will not be a reality until you remove it from your head and put it on paper. Create your vision board today. 3. Coaching & Mentoring Sessions. Partner with a great coach and then find a mentor. By doing so, you can shave several months or possibly years off of your learning curve. 4. Mastermind & Alliances. Two or more individuals coming together can accomplish more than either could alone. This can be a formal or informal group. Great reading – Think & Grow Rich by Napoleon Hill. 5. Seminars & Live Events. The top minority always attend various events. They recognize that relationships and joint ventures are formed at these type of events. The minority also know that it’s the meeting after the meeting is where you forge deeper connections. 6. Books & Audio Tapes. Always a student is one of my own favorite quotes. Personal Development is imperative to your success. Books and audio tapes provide a great source for you to continue to elevate your mind and stay on course with your WHY and mission. 7. Charity. Give back to charity and other worthy causes. Many of the top minority combine forces and give on a grand scale. 8. Lastly, the top minority know it’s not the TOOLS that people are attracted to. It is YOU. People only do business with people they know like or trust. The above steps are great steps to get started. Some will take more time than others but when combined together, you are unstoppable and you will be in the MINORITY. Till next time, Live on Purpose and Make it Happen. There are many people who are under the impression that the Internet space, though vaster than imaginable, is all the same. Tell them that there is something known as Internet marketing and there is something else known as network marketing and the two are not the same will be news to them. We can assure them that the two have different methodologies and approaches to marketing. The main difference is that in Internet marketing, nothing is done away from your computer, whereas in network marketing, besides using computers, many things can be done offline to promote your business. Internet marketing is the selling of services and products using the Internet. You can promote your products and services and also your affiliates’ domains and those of Joint Venture partners, if there are any. You want to always grow a list of email subscribers because one of the main promotional avenues is sending emails. This sending of emails has to be done with care. Too many of them could end up in the trash bin without being read. Relationships are created in the course of sales, but there is no team or group that is created to sell the products. This viral marketing can use video clips, pointed advertisements, or eBooks to make the people linger long enough on the page and kindle their interest in the product or service. A member who makes a sale from anywhere in the world gets a commission. Therein lies the main difference. Network marketing is self-explanatory. You need to create a network of sales distributors who will be engaged in marketing the company’s products. It is primarily a system of networks that have been perfected by MLM companies. A business opportunity is offered to whoever is interested in the website promoted by you. Anyone who is interested in earning some extra money can join in and start as a distributor or affiliate; thus a group of people is created and they all work towards one goal – the sale of the MLM product and they themselves make it a point of bringing in more sales people under their name. Network marketers can make use of online and offline techniques to build their team. Phone calls on the Internet using facilities like Skype is possible now, but may not be as effective as traditional phones using landlines or cellular phones. The dial the number and speak routine cannot be employed here. However, Skype will enhance your global business as you have a chance to meet people all over the world, no matter the time zone. Sizzle calls, meetup groups, attractive promotional postcards by snail mail are examples of offline marketing techniques. You have many choices to figure out the best method for growing your business. Review your goals today. Are you on target? If so, Congratulations. If not – review, adjust, regroup and keep moving forward. Have you ever went to leave a comment on a persons blog and wonder how you can show your gravatar or picture like the other commentators. First let’s define a gravatar. Your Gravatar is an image that follows you from site to site appearing beside your name when you comment or post on a blog. I have my cool gravatar thanks to a wonderful video post by Katie Freiling. Now you can too! Check out this wonderful and simple quick tutorial video where Katie shows you how to do it: http://www.katiefreiling.com/gravatar/. Why You Need A Gravatar? Your picture will help the blog owner and readers be able to put a face to the great and thoughtful comments that you make. Your comments also help you to get exposure especially if you are adding value to the community. Lastly, people will identify you more easily and recognize you throughout the different blog sites you visit. So was it simple? I sure thought so. Please leave a comment and let me see your beautiful picture. Don’t forget to test your new gravatar out by thanking Katie and leaving a comment on her blog. Please make sure you share this with your friends on Twitter, Facebook, and other social communities! Like me by clicking on my cool gravatar Face Book Fan Page.